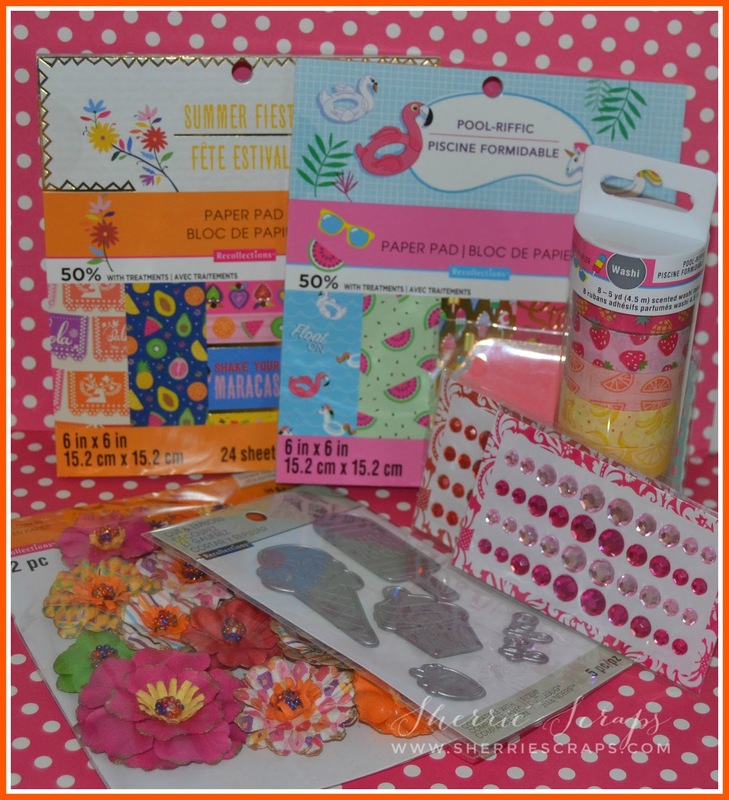 Sherrie Scraps with passion: Birthday Giveaway! Happy Belated Birthday to you!! Hope it was a fun filled day. Hi Sherrie, thanks for the great giveaway! I am a follower through blogger. I posted your giveaway on my sidebar at goldengoddessdesigns dot blogspot dot com AND I hopped over to your FB page and liked. I would love it if you would reciprocate. My FB page is goldengoddessdesign (no s). Thanks!! Happy Birthday to you, Sherrie! I am already a follower here, but I don't have a blog! Hope I can still be eligible for your awesome prize! I also liked your FB page! Happy belated birthday!! I am a follower of your blog and facebook fanpage. Also I posted your giveaway on my sidebar (http://whodatscrapper.blogspot.com). Hapy Birthday my friend. I hope your day was as special as you are. Hope you got everything you wanted. I hope you had an amazing birthday my friend!!!!!!!!!!!! Oh it sounds like you had a fabulous day of celebrating yesterday! Yay! I hope you get spoiled with lots of goodies! Just like you are spoiling us with your awesome giveaway! Thank you so much! I already follow you, and I just added your giveaway to my sidebar. Thank you, Sherrie! Me again! I just liked your FB fan page (Karen Garber). Sounds like you had a wonderful birthday! !You deserve it my friend! !Thank you for your generous giveaway! Posted on my blog!! Hope you had a wonderful birthday. Thanks for the chance at this sweet giveaway. I am a follower. Happy birthday to you! Happy Birthday to you! Happy Birthday Dear Sherrie. Happy Birthday to you! We should be giving you gifts, not the other way around. Thanks for the chance! I shared on my FB page and liked your FB page too!